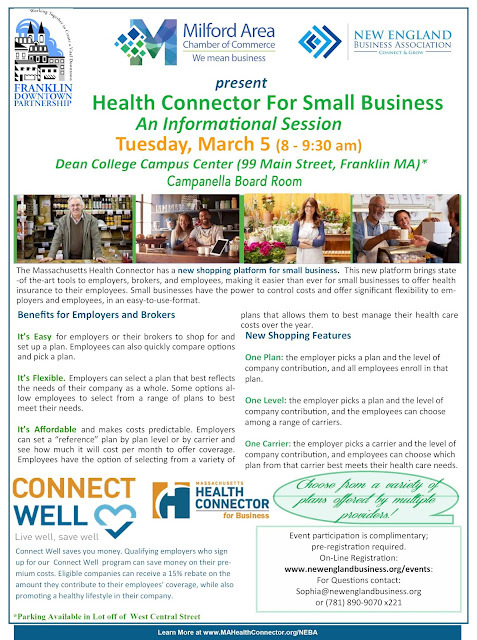 The Franklin Downtown Partnership, the Milford Regional Chamber of Commerce and the New England Business Association present "Health Connector for Small Business: An Informational Session" on Tues., March 5 from 8 a.m. to 9:30 a.m. at Dean College Campus Center, Campanella Board Room. The Massachusetts Health Connector has a new shopping platform for small business. This new platform brings state-of the-art tools to employers, brokers, and employees, making it easier than ever for small businesses to offer health insurance to their employees. Event participation is complimentary. Online pre-registration is required. Start your Valentine's Day with a hot cup of coffee or a tasty breakfast with other Franklin Downtown Partnership members at our next Networking Breakfast on Thursday, February 14 at 8 a.m. We'll meet at the Dean College Dining Center on the first floor of the Campus Center. We'd love to see even more FDP members take advantage of this networking opportunity! Please email Matt or Gary to let them know you're attending or if you have any questions. The next general meeting of the Franklin Downtown Partnership is scheduled for Thursday, Feb. 7 at 8:30 a.m. 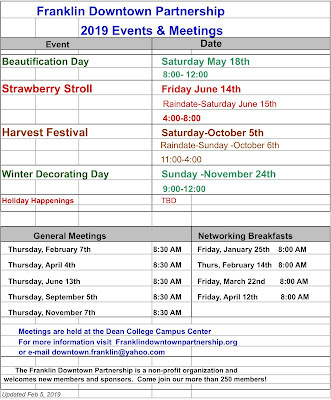 Please join us in the Campanella Board Room of the Dean College Campus Center. 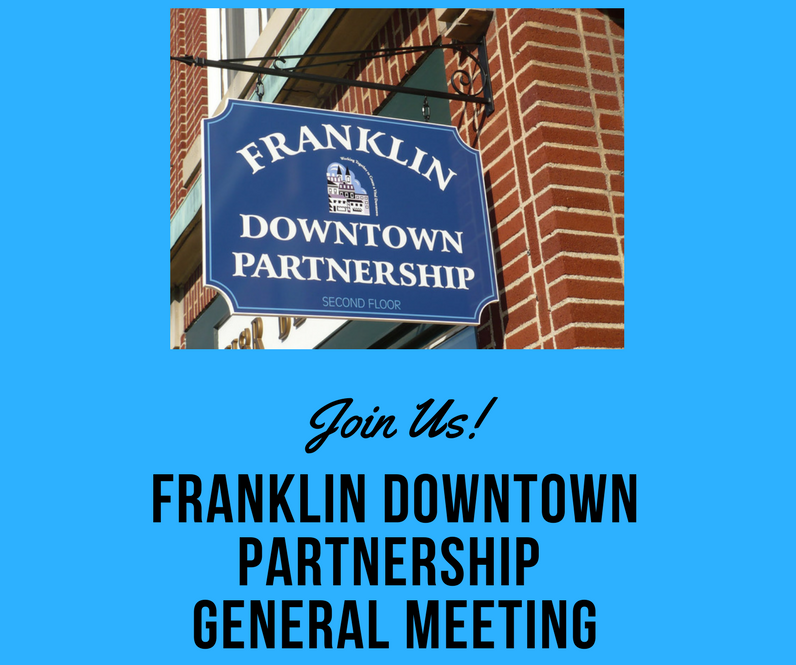 Our guest speaker will be Maggie Gundersen of the Franklin Senior Center. 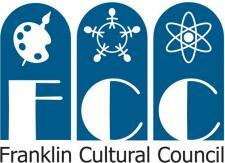 She will give a brief presentation on "Dementia Friendly Franklin - How Businesses and FDP Members Can Be Involved." 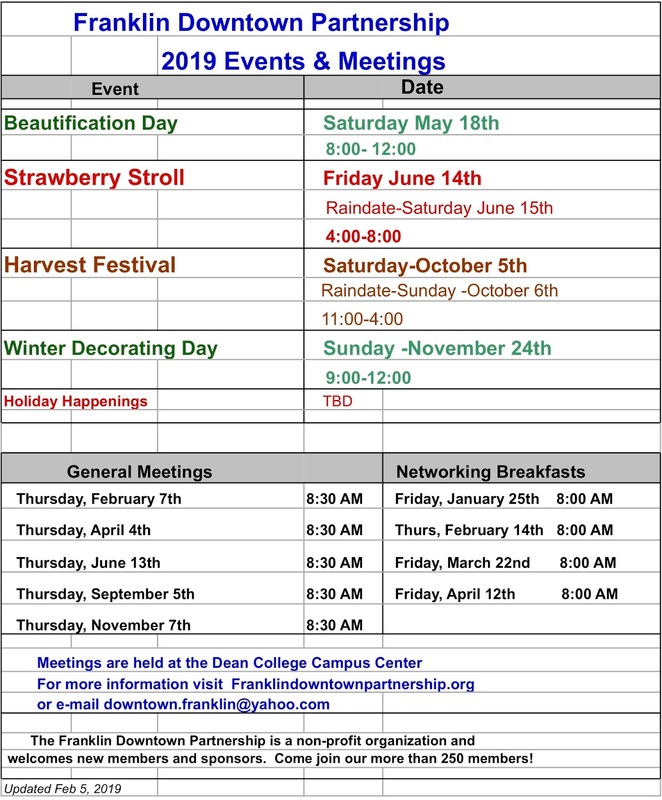 Our December event, Holiday Happenings, was made possible through the generosity of local businesses. Thank you to these sponsors! Gold Sponsors: Dean Bank, Dean College and Keefe Insurance. Silver Sponsors: Berry Insurance, D.G. Ranieri Real Estate, DCU, Doherty, Ciechanowski, Dugan & Cannon, P.C., Fenton Financial Group, Franklin Ford, Franklin Historical Museum and Cultural District, La Cantina Winery, Matt Kelly Homes, and Middlesex Savings Bank. Bronze Sponsors: Glen Meadow Apartments, Liberty Tax Service, Rescom Exteriors, Simon’s Furniture, Tom Fricker Complete Heating & Cooling, LLC, and Vallee’s Jewelers. 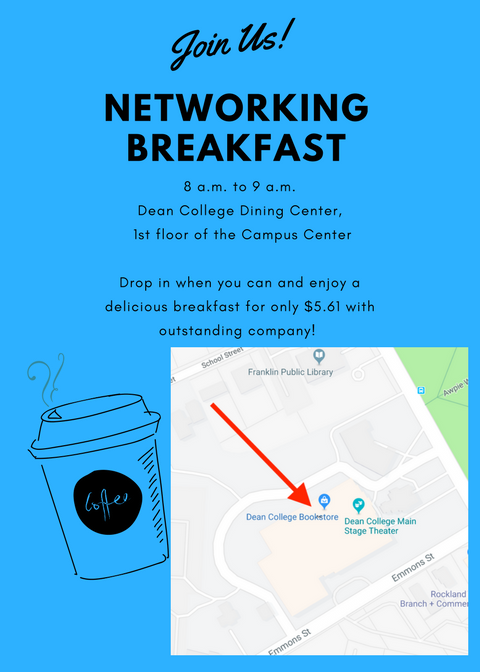 Please note the change in the February Networking Breakfast date.